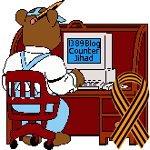 ISIS setting up secret stronghold in isolated village of Ošve, Bosnia — 1389 Blog - Counterjihad! 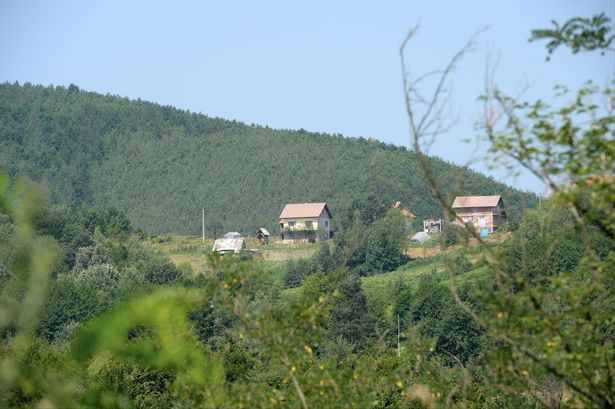 Terrorists are secretly buying land in an isolated village, surrounded by deep woodland. Security services think the area in Bosnia is used for ISIS training camps and could be a base for devastating terror attacks on the West. Crucially, the location gives IS a key strategic position due to its proximity to the Mediterranean which is used by extremists from Syria, Iraq and North Africa. At least 12 ISIS fighters trained in the village of Ošve have left for Syria in recent months and five are reported to be dead. Terror expert Dzevad Galijasevic said: “From this village a large number of people went to Syria and are going constantly. “The chosen location of some of the properties is on a hill, where there is no possibility to approach without being seen. It is clear that the source of the terrorist threat is right there. It is a major threat. We visited the hilltop village 60 miles from Sarajevo and six miles from the town of Maglaj afternoon. It is not mapped by GPS and is only accessible by steep and winding roads barely wide enough for cars to pass. A number of houses there appear to have been abandoned or only half built and it is not overlooked by any other settlement. A number of villagers wore Islamic-style clothing, including two women wearing burkas. Our guide – our driver and translator – said we were being watched and it was too dangerous to photograph them. Clearly worried, the dad-of-one said: “We should leave now – our presence here is beginning to cause suspicion. This is a beautiful place but is incredibly dangerous. It is understood that notorious ISIS supporter Harun Mehicevic is among fanatics who bought land in the area. He has purchased two hectares. Mehicevic fled Bosnia during the 1990s Balkan wars and settled in Melbourne, Australia, where he is considered one of the country’s most dangerous men. Other known terrorists believed to have bought land in the village include Jasin Rizvic and Osman Kekic, who are both now fighting with ISIS in Syria. Muslim leader Izet Hadzic – arrested by Bosnia’ and Herzegovina’s security service Sipa in a raid – is also understood to have property in the village, as have many others who have gone to fight in Syria and Iraq. One villager told our investigators that locals fear the area is a “nest for terrorists”. The man, who does not want to be named, said: “We regularly hear gunshots coming from the woods up there for long periods at a time. It happens every week. “I don’t know what they are doing, whether it is target practice or something like that, but it happens regularly.